Start by combining almond meal, cocoa powder, Elite Chocolate Protein in a small bowl. These ingredients will help to give the chocolate cake stability and texture while providing an extra kick of chocolate flavor. Next, whisk together coconut milk, coconut oil, and coconut nectar in a saucepan until steaming hot. Stir in the unsweetened dark chocolate until smooth. Gradually stir the almond meal and cocoa powder mixture into the wet ingredients until thick. Pour into a greased pie pan and refrigerate for 1 hour or until set. In the meantime, prepare the chocolate frosting by using a hand mixer and beating the coconut cream with cocoa powder and coconut nectar. Refrigerate your chocolate cream for a few hours ahead of time to make sure it is solid. There may be a small amount of coconut water in the can; discard the liquid. You just want the paste-like cream and not the liquid. Once the cake has set, remove it from the pan using a sharp knife to loosen the edges from the pan. Use a scapula to apply the frosting. Slice and serve or refrigerate until your ready to indulge. 1 Liberally grease an 8-inch round cake pan with coconut oil. In a small bowl, whisk together almond meal, cocoa powder, and Elite Chocolate Protein. Set aside. 2 Heat coconut milk, coconut oil, and coconut nectar over low heat until steaming. Transfer to a large mixing bowl and stir in chocolate chips until smooth. 3 Gradually whisk dry ingredients into the wet ingredients until well combined. Pour into prepared pan. Smooth top with a spatula. Place in freezer for 1 hour to set. 4 For frosting, combine coconut cream, cocoa powder and coconut nectar in a medium mixing bowl. Beat using a hand mixer on medium speed until smooth and fluffy. Place into a bowl and refrigerate. 5 Frost with chocolate coconut frosting. Store in refrigerator. For more information on how to get my Elite Protein Powder used in this recipe just hit reply and send me a note. I will send you all the details and send it out to you 100% hassle-free. My new Elite Protein is the BEST tasting and cleanest – no chemicals or artificial junk like 99% of the other proteins on the market. 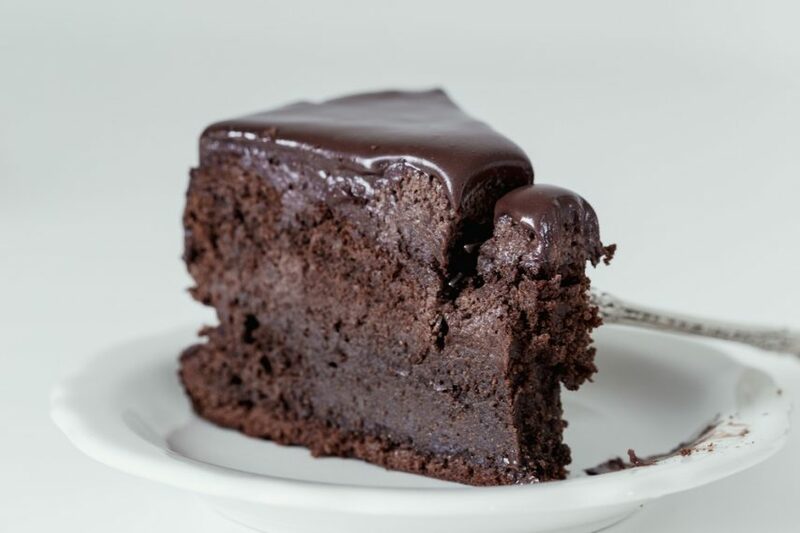 I can’t wait to hear what you think about my Delicious No-Bake Flourless Chocolate Cake.